The golden-mantled rosella, often called the Eastern rosella and the white-cheeked rosella, originates in Australia and is the most colorful and popular parrot of the rosella family. The eastern rosella is a rosella native to southeast of the Australian continent and to Tasmania. It has been introduced to New Zealand where feral populations are found in the North Island and in the hills around Dunedin in the South Island. 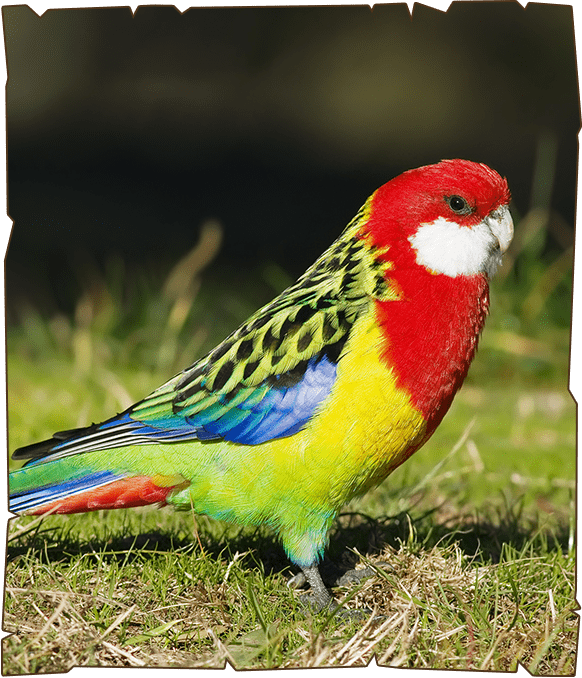 The population of rosellas in Dunedin has always remained low, partially due to them being trapped and sold as caged birds, and the fact that the climate can be extremely cold in comparison to their native habitat. The Eastern Rosella is found in open woodlands, grasslands, farmlands and remnant bushland. This bird is often found in urban habitats such as parks, gardens and golf courses.